In 2017 India joined our ever-growing list of participating countries. What started with a Boot Camp and National Final in Bombay is currently running in 4 places and will expand to even more locations in both India and South-Asia. Driving force behind this success is our local partner PR Climate Studio, in particular its founder Pratap Raju. We interviewed him on how he is getting things done. Why did you start ClimateLaunchpad in India? “Before I came across CLP last year, we were working on a climate and cleantech start-up program in India. It was an initiative called the Climate Collective and at that time it was just the marketing brand to build start-up programs in India and South Asia. We wanted to execute a lot of programs around climate and clean tech in the region. 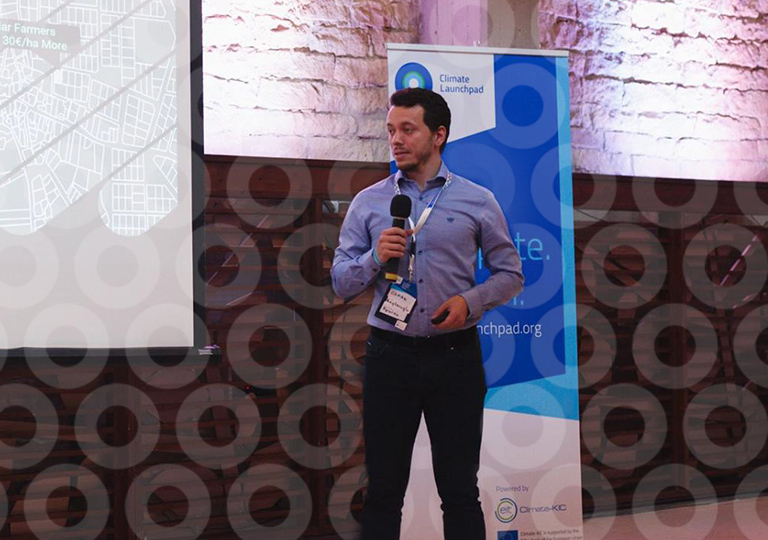 ClimateLaunchpad’s goal in terms of reaching out to many communities and ecosystems to find and support early stage starts resonated with what we were trying to achieve with the Climate Collective. There is an urgency for deep expertise around climate start-ups and there is a need to replicate a program like ClimateLaunchpad in multiple locations in South Asia. India is a country for example that is so huge that if something is developed in Chennai, in the South, it’s very likely - even being in the climate space- that you never hear of it in Delhi. Regardless of the interactions between people, it is hard to reach across India. It is difficult to reach all entrepreneurs in the space in regions like East Calcutta or somewhere really big but poorer. We just don’t have strong linkages to those parts of India. But as that represents a third of India in terms of numbers for example, we need to install programs in all these areas. “India is a very interesting source for entrepreneurs and innovation and it has a huge market for a lot of the start-ups in cleantech or climate. It looks like ClimateLaunchpad was exactly what the ecosystem in India needed. “Absolutely! 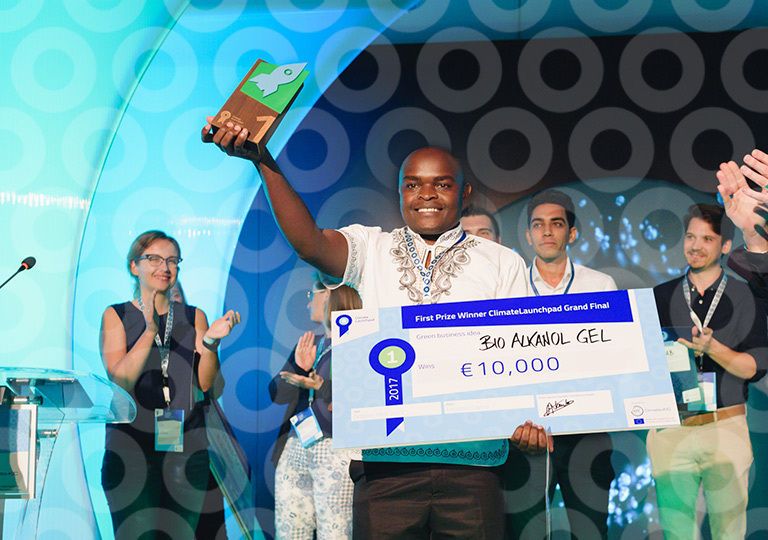 In 2016 we started the first cleantech Hackathon in the country. Before that, cleantech and climate innovations did not get a lot of attention in India. We got a great response from that and by the end of 2016 the big challenge for the entire ecosystem was that there were no or not enough support platforms in cleantech. There were no incubators or accelerators. We started talking to angel investors, with quite a significant amount of early stage funds. But as there was no investor education about the clean tech space; there were questions like: what if we fund this start-up, who’s going to arrange the professional funding later on, what if these ideas don’t go to IPO, what about the exits? We identified 12 ecosystems in India where there’s start-up activity and sizable communities, whether university or industry. Plus we identified 7 in South-Asia. So 19 in total. Normally these things take a lot of time for new industries in India; the angel networks normally start industry specific: so people from IT industry fund a lot of IT ideas for example. In India the cleantech space (solar) was dominated by very large companies that didn’t let themselves to be angel investors easily. So even if in 2016 there was an unbelievable 30 000 megawatts of solar wind, we still didn’t have the large number of entrepreneurs who were recycling some of that capital and expertise to start-ups yet. We’re only starting to see it now and it’s being cross spread different areas in industry, not necessarily from cleantech. In 2017 we did see some other platforms arise: a state department program together with a university started looking at potential size of the early stage climate entrepreneurs (last year they had over 600 applications from just South India). Also there is a lot of innovation happening at technical centres at Universities. But there were no support mechanisms to help these innovation and initiatives convert their ideas into businesses. That is where ClimateLaunchpad comes in. You went from 1 state last year to 4 states in 2018 in India, plus you opened up ClimateLaunchpad in Sri Lanka. Where will this end? “We need to reach out and be present throughout South-Asia. We identified 12 ecosystems in India where there’s start-up activity and sizable communities, whether university or industry. Plus we identified 7 in South-Asia. So 19 in total. As we saw last year a lot of people could not apply because we only ran ClimateLaunchpad in Bombay. By expanding and multiplying we are really solving this and reach entrepreneurs throughout South Asia. What is your long-term vision for ClimateLaunchpad in all those states? What is your message to applicants in India?